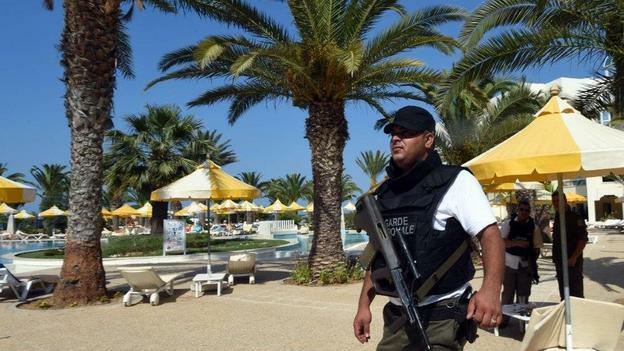 At least 39 people, mostly foreigners, have been killed and 36 injured in an attack on a beach in the Tunisian resort town of Sousse, officials say. Video footage showed the body of a suspected gunman lying in a street. Tunisians, Britons, Germans, Belgians, French and at least one Irish citizen are among the dead in the attack claimed by Islamic State (IS). Islamic State said it was behind Friday's attack. It had urged followers to step up assaults during Ramadan. Social media accounts close to IS showed pictures of the man they say carried out the killings.